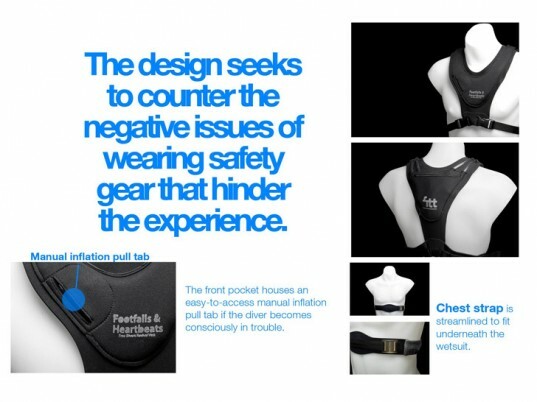 The Revival, which employs smart-fabric technology from Footfalls and Heartbeats, works by monitoring changes in the circumference of the chest while the diver suppresses breathing. (The chest strap is in direct contact with the skin for maximum accuracy.) Should the diver black out, a wireless transmitter signals the bladders to inflate. Once deployed, the device raises the body to the surface in an upright safety position with the head above water, preventing further intake of fluid to the lungs while rescue efforts are underway. The Revival works by monitoring changes in the circumference of the chest while the diver suppresses breathing. Because free-divers (also known as skin-divers or “breath-hold” divers) prefer to be unencumbered by bulky equipment, the Revival’s streamlined silhouette is designed to work with the body rather than against it. The vest employs smart-fabric technology from Footfalls and Heartbeats, a New Zealand company that specializes in intelligent textiles that can read, record, and transmit vital signs. Should the diver black out, a wireless transmitter signals the bladders to inflate. Once deployed, the device raises the body to the surface in an upright safety position with the head above water, preventing further intake of fluid to the lungs while rescue efforts are underway. Because free-divers (also known as skin-divers or "breath-hold" divers) prefer to be unencumbered by bulky equipment, the Revival's streamlined silhouette is designed to work with the body rather than against it. 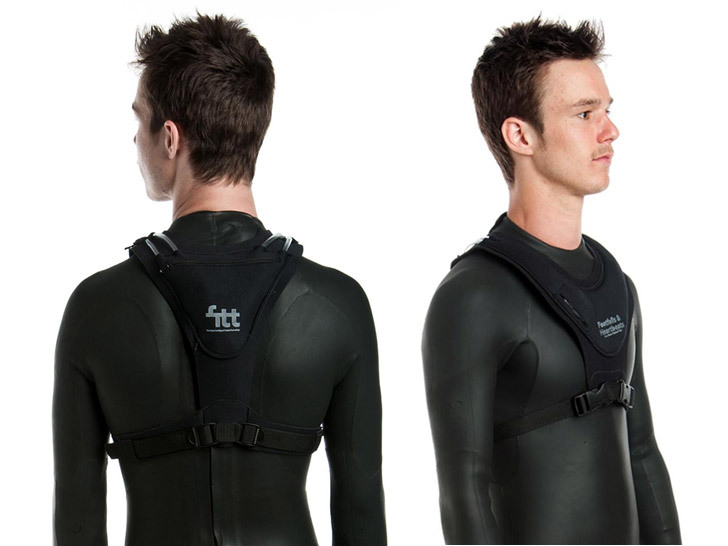 McNab developed the device in response to the death of a friend who blacked out during a free-diving accident. "He was an athletic and healthy medical student who took safety precautions as he knew the risks of what he was doing," McNab says. "Shallow-water blackout is something that can happen to even the most experienced divers and can occur without little warning."